Some of the most promising opportunities for research in the College of Engineering carry with them significant risks. The College of Engineering believes it is our responsibility to mitigate these risks and to protect the health and safety of lab personnel, research participants, the university community, the general public, and the environment. Research safety is a broad concept that applies to work performed both within traditional laboratory spaces as well as in other settings. Certain aspects of research safety (e.g., use of biohazards, operation of certain equipment, and laboratory safety practices) are governed by federal and state regulations that prescribe the oversight functions that are in place at UW. 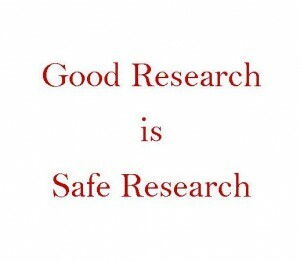 “Safe research is the responsibility of everyone in the laboratory – how we think, how we act, and most of all understanding that making sure no one gets hurt in the process is paramount. When planning a project we must understand the hazards, protective measures, and controls.” ~ M. Schlissel, 2015. The UW-Madison College of Engineering is dedicated to improving research safety, occupational health, and emergency preparedness for our faculty, staff and students. Our mission is to be a University leader in fostering a robust safety culture. College of Engineering labs are inspected at least annually by the Director for Safety in an effort to ensure that they are safe environments for research and education. A Safety Committee is maintained which provides direction for the growth of a safety culture and act as a touch point for safety related concerns throughout College departments. Faculty, staff and students have a responsibility to report incidents, injuries, unsafe conditions and actions.